If you’re a UK university student wanting to help build a less intolerant society, Aegis will train you in public speaking and give you the tools to educate young people to counter prejudice. Don’t just admire great human rights defenders; become one! Each year Aegis gives UK university students the opportunity to plan and execute their own advocacy programme. Take action for the Central African Republic (CAR) with the Aegis Trust and STAND as part of this international youth-led campaign to support peacebuilding. 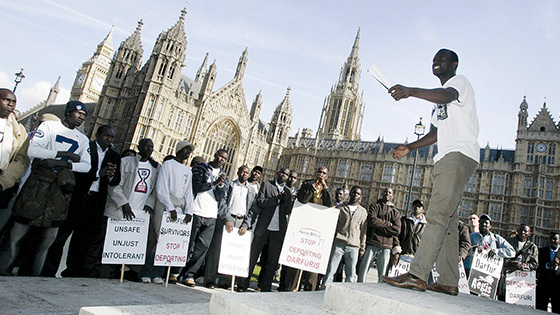 Aegis Students is the youth arm of the Aegis Trust, committed to campaigning, educating and fundraising to end genocide. Over the past few years, a signficant focus of Aegis Students’ activities in the UK has been its Youth Leader Project, consisting of two training programmes designed to inspire leadership and responsibility among young people at universities. So far hundreds of students have taken part, drawn from over twenty universities the length and breadth of the country. You can find out more about these programmes below. The Student Speaker Programme empowers young people to educate their peers and communities about the importance of critical thinking, and to stand up against discrimination and divisive ideology. Genocide does not come out of the blue. It involves a long process of growing discrimination in which people from a particular minority are progressively excluded from the rest of society. This discrimination only happens where others don’t take the action to stop it. The UK-based Student Speaker Programme trains students to teach others about the dangers of discrimination and divisive ideology. 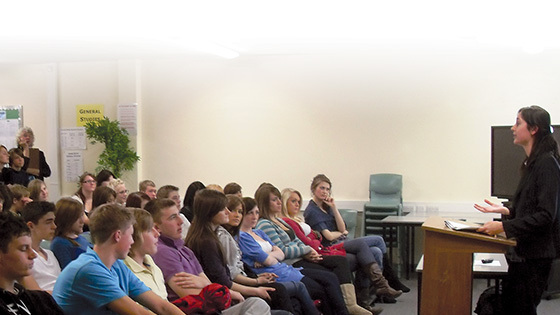 The programme incorporates courses on public speaking, and delivering Aegis’ workshops. Students then put what they have learned into action in a school environment. This is an opportunity for young people to make a real difference, challenging the way we think about each other and creating the genocide preventers of the future. If you are a university student and would like more information on the programmes, please get in touch. This is a unique opportunity for students to plan and execute their own advocacy programme. 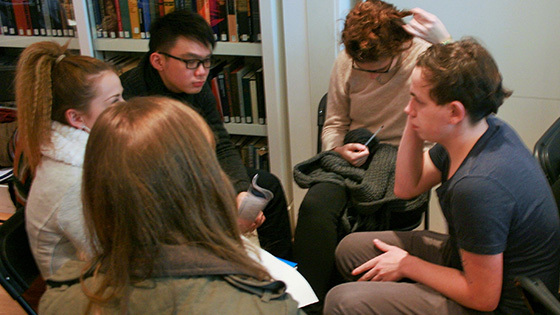 Rather than just signing their name on a petition, students have the opportunity build their very own advocacy campaign regarding one situation around the World where people are at risk of mass atrocities. Time and time again we have witnessed student and youth movements stand up against powerful dictatorships and military juntas, put a stop to wars, and act as a conscience for entire nations. At Aegis we are driven by the belief that students and young people have the power to make a huge difference both right now and as they become future leaders. The Student Campaigner Programme is designed to help students fulfil this potential by offering training on successful advocacy campaigning and the chance to put that training into action by helping to build a national, student-led advocacy campaign. Ever catch tabloid headlines about minority groups and wonder what impact they’re having on people’s attitudes? Let Aegis show you how to train young people in critical thinking. When decision-makers don’t want to hear, your voice creates pressure. When they do, it creates leverage. Either way, it’s vital. Let us show you how to campaign with it effectively. There’s loads of ways you can support the cause with Aegis Students. For example, why not set yourself a challenge and fundraise through sponsorship for it? We’ll help you all the way.